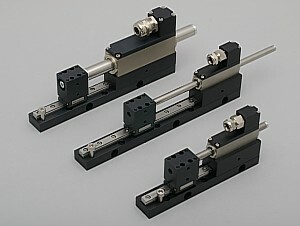 QuickDynamic® stands for high-dynamic mechanical data. 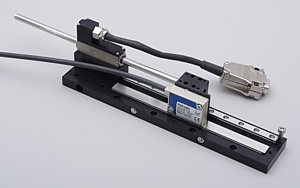 With our QuickDynamic® series, we offer miniature, high-dynamic linear motor moduels based on QuickShaft® servo drives. 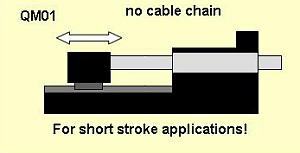 The specified standard values for continuous opperations are 5 m/s and 150 m/s². We also offer ready-to-use guide systems, positioning controllers, customized motor cables and supply units with the compotens. 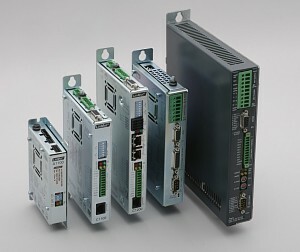 For our QuickDynamic® modules, we preferably use controllers out of the LinMot® range.